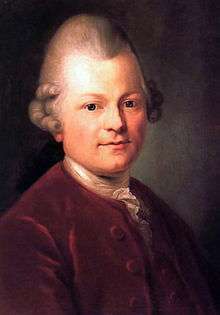 Gotthold Ephraim Lessing (German: [ˈlɛsɪŋ]; 22 January 1729 – 15 February 1781) was a German writer, philosopher, dramatist, publicist and art critic, and one of the most outstanding representatives of the Enlightenment era. His plays and theoretical writings substantially influenced the development of German literature. He is widely considered by theatre historians to be the first dramaturg in his role at Abel Seyler's Hamburg National Theatre. From 1748 to 1760, Lessing lived in Leipzig and Berlin. He began to work as a reviewer and editor for the Vossische Zeitung and other periodicals. Lessing formed a close connection with his cousin, Christlob Mylius, and decided to follow him to Berlin. In 1750, Lessing and Mylius teamed together to begin a periodical publication named Beitrage zur Historie und Aufnahme des Theatres. The publication ran only four issues, but it caught the public's eye and revealed Lessing to be a serious critic and theorist of drama. In 1765 Lessing returned to Berlin, leaving in 1767 to work for three years at the Hamburg National Theatre. Actor-manager, Konrad Ackermann, began construction on Germany's first permanent theatre in Hamburg. Johann Friedrich Löwen established Germany's first national theatre, the Hamburg National Theatre. 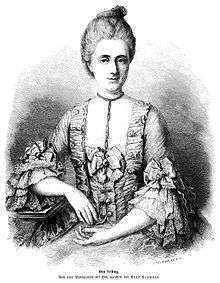 The owners hired Lessing as the theatre's critic of plays and acting, which would later be known as dramaturgy (based on his own words), making Lessing the very first dramaturge. The theatre's main backer was Abel Seyler, a former currency speculator who since became known as "the leading patron of German theatre." There he met Eva König, his future wife. His work in Hamburg formed the basis of his pioneering work on drama, titled Hamburgische Dramaturgie. 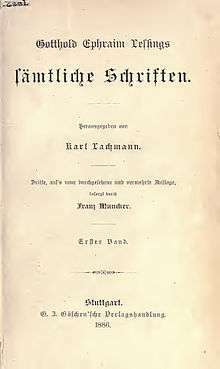 Unfortunately, because of financial losses due to pirated editions of the Hamburgische Dramaturgie, the Hamburg Theatre closed just three years later. Lessing was also famous for his friendship with Jewish-German philosopher Moses Mendelssohn. A recent biography of Mendelssohn's grandson, Felix, describes their friendship as one of the most "illuminating metaphors [for] the clarion call of the Enlightenment for religious tolerance". It was this relationship that sparked his interest in popular religious debates of the time. He began publishing heated pamphlets on his beliefs which were eventually banned. It was this banishment that inspired him to return to theatre to portray his views and wrote Nathan the Wise. Nathan the Wise, translated by Guenther Reinhardt. Brooklyn, Barron’s Educational Series, inc., 1950. Emilia Galotti: a tragedy in five acts, translated by Anna Johanna Gode von Aesch. Great Neck, N.Y., Barron’s Educational Series, inc., 1959. ↑ "Gotthold Ephraim Lessing". 2013. Grand Lodge of British Columbia and Yukon. Retrieved 12 September 2013. ↑ Todd, R. Larry (2003). Mendelssohn: A Life in Music. New York: Oxford University Press. p. 1. ↑ Wilson, Edwin, and Alvin Goldfarb. Living Theatre: History of Theatre. 6th ed. New York: McGraw-Hill Companies, 2012. Print. ↑ Karen Otterweell, Lessing and the Sturm und Drang: A Reappraisal Revisited, Peter Lang Pub, Inc., 2002. Print. ↑ Eckersley, M. 1997. Soundings in the Dramaturgy of the Australian Theatre Director. University of Melbourne. Melbourne. p 9. ↑ Vallee, Gerard. Soundings in G.E. Lessing's Philosophy of Religion. Lanham: University of America, 2000. Print.